Most people like ice cream. I like many flavors, but my favorites involve chocolate and/or fudge in some way. I like banana splits, fudge sundaes, Turkey Hill chocolate marshmallow ice cream, Stoneridge Creamery peanut butter cup, and Turkey Hill deep dark chocolate – among others! Most people would agree that ice cream is delicious, and somehow it tastes even better when it’s free. I just researched for some information about how and when you can get free ice cream and other frozen treats, and I want to share that information with everyone. On Tuesday, March 15, 2016, Dairy Queen is giving away a free soft serve cone at its participating locations – which apparently does not include stores located in malls. It’s coming up soon – don’t miss it! It’s not ice cream, but you can get a free small Italian ice at Rita’s on Sunday, March 20, 2016. Rita’s also has frozen custard and many other cold, sweet treats. Ben & Jerry’s free cone day doesn’t seem to have been announced yet, but will be some time in April. Carvel had their free cone day on April 30, 2015, but I can’t find anything yet about the date for 2016. 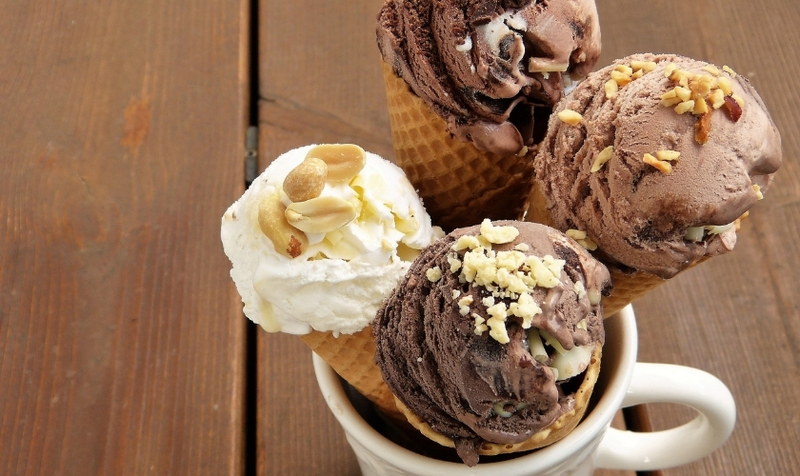 Haagen-Dazs had their free cone day on May 12, 2015. Let’s hope they have another one for 2016! 7-11 gives free Slurpees away on (of course) July 11 every year. National Ice Cream Day is Sunday, July 17, 2016. It is celebrated on the third Sunday in July every year. July, I’ve learned, is National Ice Cream month. That makes sense, since it is right in the middle of the summer, and a perfect time for ice cream. I have to say that I’m happy the freebie days are spread out over several months, though. Sign up at Baskin Robbins to get a free cone on your birthday. You can also get a free sundae on your birthday at Friendly’s when you sign up with them. Maggie Moo’s gives free ice cream on your birthday when you sign up for their club. Not all of the offers were for humans. In 2015, PetSmart offered free doggie ice cream to their canine customers, and even provided a recipe for anyone who wanted to make some at home. Many of us live near at least one of these locations, and some live near several of them. Enjoy your free ice cream and other frozen treats!